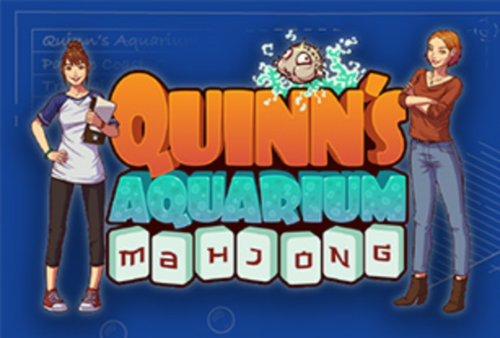 Quinn's Aquarium is the new game of the month for December! Pogo has changed things up and instead of adding new ranks, it's now a badge challenge. On December 1st, Pogo_Spike will be gifting us 4 free badge challenges. If we complete them during the month of December, we'll be awarded a bonus badge. I hit rank 30 today on this game it sure takes forever to rank out in but hopefully i can get rank 50 before they remove the random game mode lol, I haven't even tried tank 2 yet just want to finish rankings first. Did Pogo mention they were removing the random puzzles mode? Oh, ok! The only reason I ask is because this is the second time I've seen it mentioned. I sarcastically mentioned Pogo removing the random levels option. I wouldn't be surprised if they did it, though. Ok, I just wanted to be sure I wasn't missing something Translation: I just wanted to make sure that Squid doesn't go rogue on us and target Pogo personnel. The new GOTM has started! Check your gifts for your 4 free badge challenges. Got mine. Some will just take some time to do. got mine. Matching the six pairs of shells will take some time. Yeah, I wasn't too happy seeing a couple of the challenges myself. The first three were really easy if you're using the random mode. For the badge requiring all six pairs of shells, you'll do better playing by hand and using the "Challenge Mode" games because there are enough tiles to get all six pairs of shells (which come after ten tile pairings following the previous shell pair). We have a month (34 or 35 days) to get that last badge so I'm hopeful I'll get it.